Microsoft is struggling to explain its requirement for Windows 8.1 customers to update to the latest version of the OS in order to receive bug and security patches. The confusion began last month, when Microsoft released Windows 8.1 Update and gave Windows 8.1 commercial and consumer users until May 12 to install it, saying that they otherwise wouldn’t get access to future patches. Responding to complaints from commercial customers—those who receive fixes via WSUS (Windows Server Update Services), Windows Intune or System Center Configuration Manager—Microsoft buckled and extended the deadline to August. It kept the original May 12 deadline in place for consumers, but then on Monday at the last minute moved it to June 10. 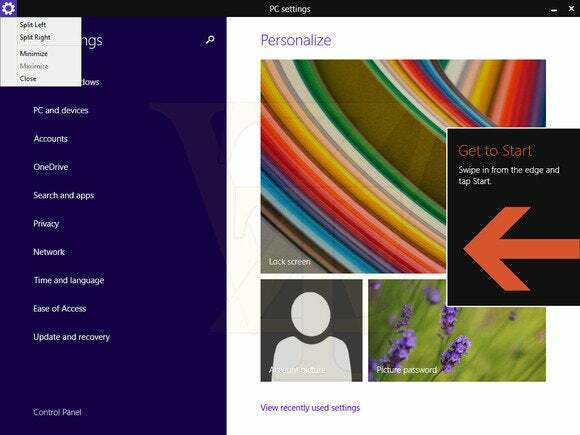 So Windows 8.1 consumer customers will get access to security fixes through June 10—including the monthly patches due out today—but Microsoft will not deliver to them fixes for bugs it doesn’t consider security-related, according to a Microsoft spokesman. By contrast, “consumer customers with Windows 8.1 Update installed will receive all updates, including security,” he wrote via email. Back in April, Microsoft made it sound like having Windows 8.1 Update would be required, from a technology standpoint, in order for future patches and fixes to work. “All future security and non-security updates will be built on these latest product updates, so existing Windows 8.1 customers—as well as Windows Server 2012 R2 and Windows Embedded 8.1 Industry customers—will need to be running these latest product updates in order to continue to receive future product improvements and security updates,” Microsoft official Brandon LeBlanc wrote in a blog post back then. “Come June 10th, if they havent installed 8.1 Update, no other updates will be visible to them in the Windows Update UI because they will be required to install the Update in order to receive any other updates,” he added. Technical reasons, or something else? That response would seem to reinforce the idea that Windows 8.1 Update establishes some sort of technology foundation that is necessary for Windows 8.1 users to have in order to install and apply updates. But what changed from a technology standpoint between April and now that will in fact allow Windows 8.1 PCs to receive and install patches even though they’re not running Windows 8.1 Update? If Windows 8.1 Update indeed lays down a software code foundation that will be required for fixes and patches to work on Windows 8.1, how come these fixes and patches will work on consumer Windows 8.1 PCs through June 10 and on commercial Windows 8.1 PCs through August? Will there be at some point a technology impediment that makes Windows 8.1 PCs unable to absorb patches and fixes? If not, is the requirement for Windows 8.1 customers to move to Windows 8.1 Update an arbitrary decision by Microsoft? After all, customers who are still on Windows 8 will continue to receive all security and non-security updates through January 2016. IDG News Service has so far been unable to obtain clarification on this issue from Microsoft. In the meantime, as reported by Computerworld recently, installing Windows 8.1 Update isn’t going smoothly for everybody, as evidenced by this long thread on Microsoft’s support discussion forum.